Cutting Calories Won’t Help You Lose Weight, Why ? So, you’re looking to shed a pound or two. Time to cut back on those pesky calories, right? Not so fast. According to Michelle Adams-Arent, a sports nutrition consultant and the Director of Science and Education for Metabolic Precision, reducing your food intake might not work like you originally thought. In fact, it might actually backfire. The minute you start cutting back on your caloric consumption, your body goes into full-on starvation mode. Translation? Your metabolic rate will actually decrease as your body tries to preserve what little nutrition it has. A lower metabolism means fewer calories burned. What’s more, research even shows burning more calories than you consume over a long period of time can increase your body fat. Not exactly the outcome you were hoping for. 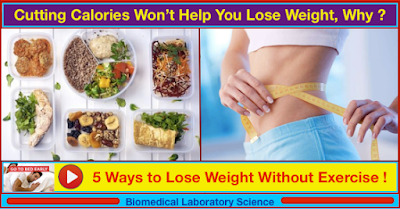 Read more: Cutting Calories Won’t Help You Lose Weight, Why ? Slideshow: The 7 Rules of Counting Calories to Lose Weight !